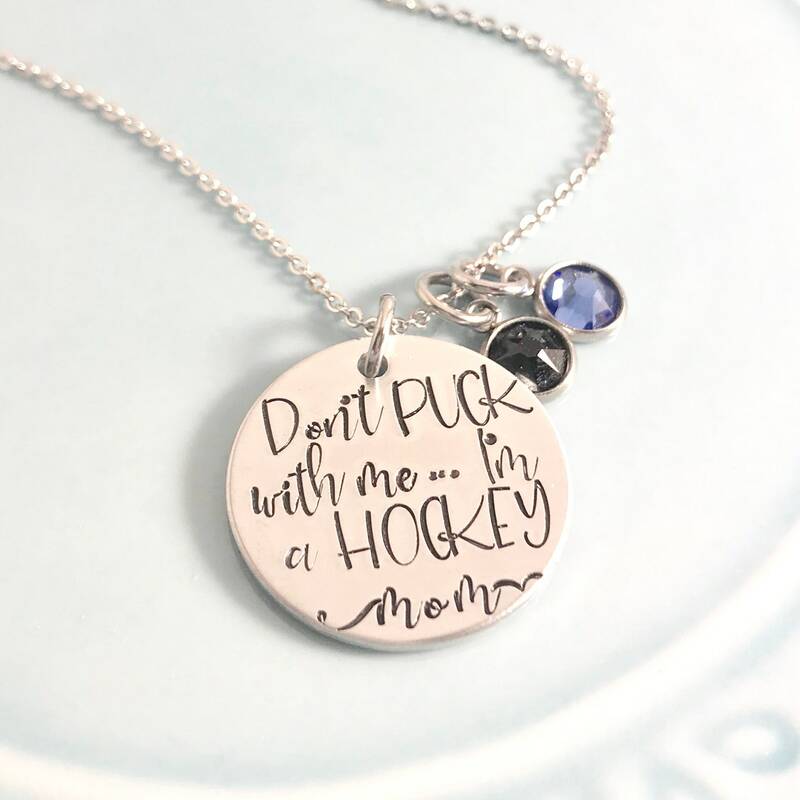 This humorous hockey mom necklace includes a 1" aluminum round charm. It also comes with two Swarovski crystal charms in your team’s colors. The chain is an 18" adjustable stainless steel cable chain.